The player provides both internal and external filters with a fully controlled environment in terms of connections to other splitters, decoders, audio/video transform filters and renderers without grappling with the DirectShow merit system. Internal filters are not registered to user's system to keep it from being messed up with system filters. 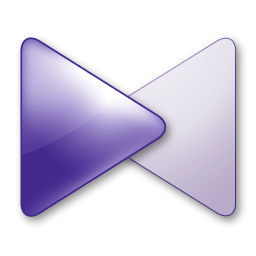 The KMPlayer includes almost all the essential decoders required for media playback. Furthermore, to get beyond the limitation of internal decoders, the external ones such as commercial h.264 decoders or cyberlink/intervideo audio decoders can be specified, so that KMP works optimally by the users' own customization. Even though the KMP is based upon directshow structure, it supports Winamp, Realmedia and Quicktime by the internal logic. Thus, it is possible to specify where to try to connect firstly the media in preferences. Intel WIDI For KMPlayerKMP Plus Version 3.2 supports Intel WIDI function which may be used through a dedicated shortcut key and use the WIDI wireless display technology. WIDI is a wireless display technology through a Intel Core 2 Sand Bridge processor that allows you to enjoy a high-definition videos through a TV and/or a projector without any limitations to codecs. Note: Please read carefully the installation windows. During the setup you will encounter optional software that is not necessary for the program for operate. You can opt out if you're not interested without it affecting the installation or functionality of KMPlayer.